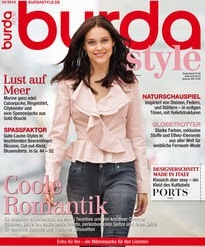 Burda Style starts publishing evening clothes for the season in October, and these are actually my favorite clothes in the issue. Ok, I don´t think there´s many women who would look good in the outfit above, but I looove it! And a beautifulbeautiful 20´s inspired dress!